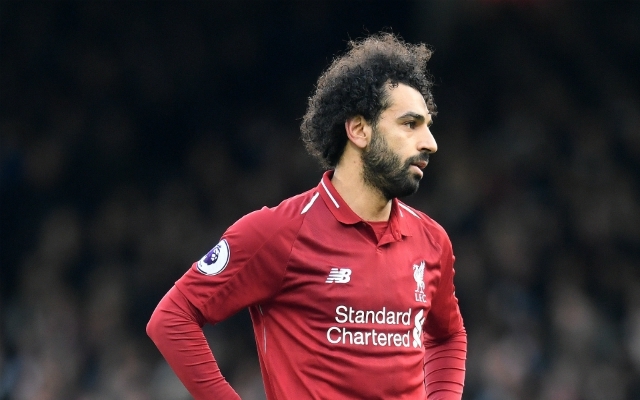 Heskey claims Salah's goal drought is down to "trying a little bit too hard"
Mohamed Salah again failed to add to his tally of 17 goals for the season at Fulham on Sunday – he hasn’t found the net in seven games for Liverpool. The Egypt star has been unable to match his goal-scoring form of last season, which, let’s be honest, wasn’t likely to happen: 44 goals last season was an unreal achievement. Former Liverpool striker Emile Heskey – who knows a thing or two about scoring goals – told Sky Sports that, “He’s still got 17 goals, so he’s not having that bad a season but he’s probably just trying a little bit too hard. True, Salah could be accused of profligacy in front of goal but he’s also attracting a great deal more interest from opposition defenders who are now only too aware of the danger he presents around the box. Mané scoring regularly is a byproduct of teams committing a lot of men to marking Salah. Such a shame Ox wasn’t fit until now. IMO, with the space he would’ve got running from deep he could’ve scored 8+ goals from midfield this season. “When you’re going through that patch you need the balance. You need to know when to pass the ball, when to take the shot”, the former England international added. While Salah has been struggling to get the ball in the net, his performance levels haven’t dropped, he’s presented the side with assists and opportunities to score, and it’s also allowed Sadio Mané to flourish. It’s a blessing for Liverpool isn’t it, that they have someone of his stature – someone of his ability – to step in to the plate where Salah has failed to produce,” claimed Heskey. “He’s such a dynamic, quick player. After scoring again on Sunday, Mané’s incredible form has seen him match Salah for goals scored in the Premier League. With 17 apiece – one behind Sergio Agüero in pole position – the two of them will be aiming to fire us to title-winning glory.